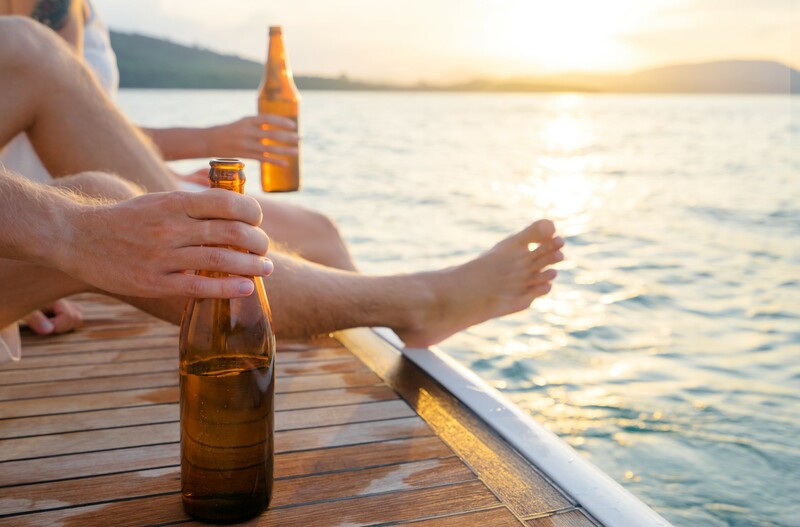 According to many that call themselves tough old sea dogs, the answer would be as simple as – with a beer. Although I have gathered quite a few miles under my keel, my answer is not so simple and it could be considered blasphemous. Drinking a cold beer when sailing in the middle of a hot summer day is not what I would recommend. I must say that sipping a cold beer during swim/lunch break is definitely something that many go sailing for. It is the matter of personal taste and habits. 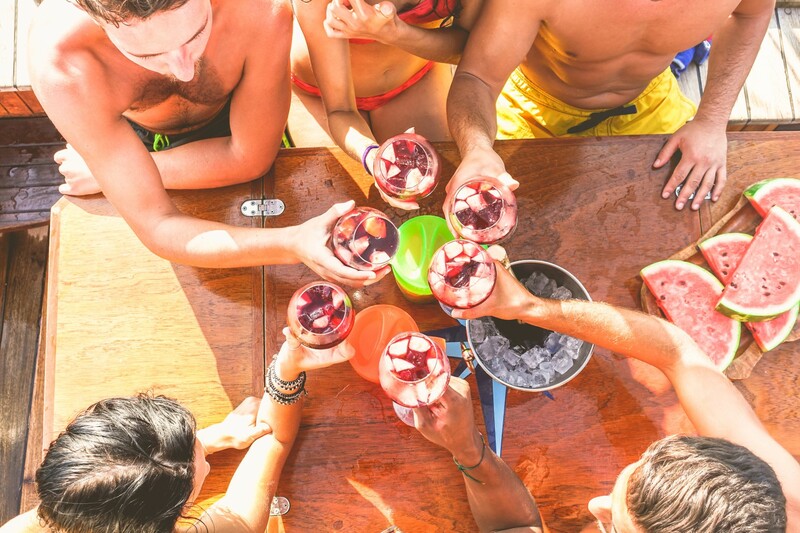 After many interviews with fellow skippers, clients and even doctors, I concluded that drinking onboard is not only the matter of fighting thirst and rehydrating the body, but also about thermoregulation of the body. 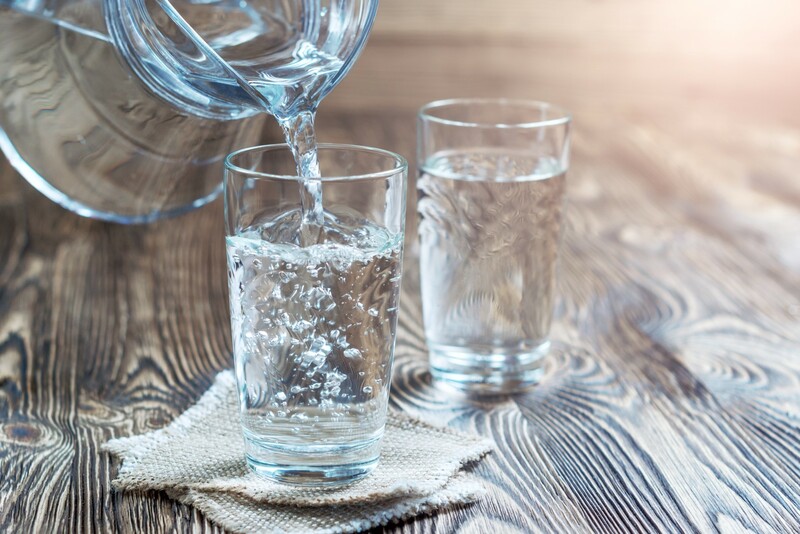 Drinking anything ice-cold during a hot day is not recommended because the intake of ice-cold liquid into relatively warm (or hot) and dried body causes quite a shock. One type of shock comes from the difference in temperatures of the ‘refreshment’ and the recipient body. The other one comes from the thirst and our instinct to swallow huge sips when thirsty. Not to mention the influence of alcohol if the refreshment is called a beer or cocktail. Such shock can result into a short and painful headache and/or dizziness, while one can be quite lazy and languid for a while. 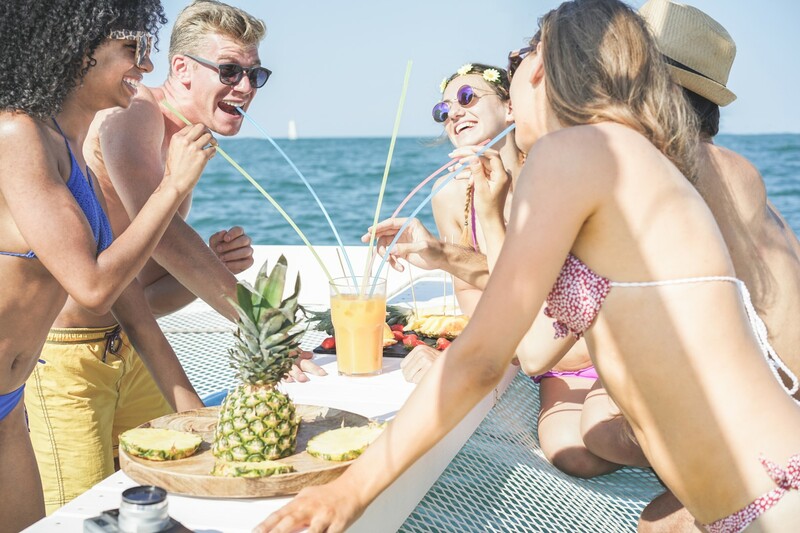 Suffering the thirst while sailing and then drinking huge amounts of liquid at a time (no matter the temperature or contents) is also not a good strategy. Sipping something from time to time seems like a good idea to fight the thirst and regulate the body temperature on a hot summer day. 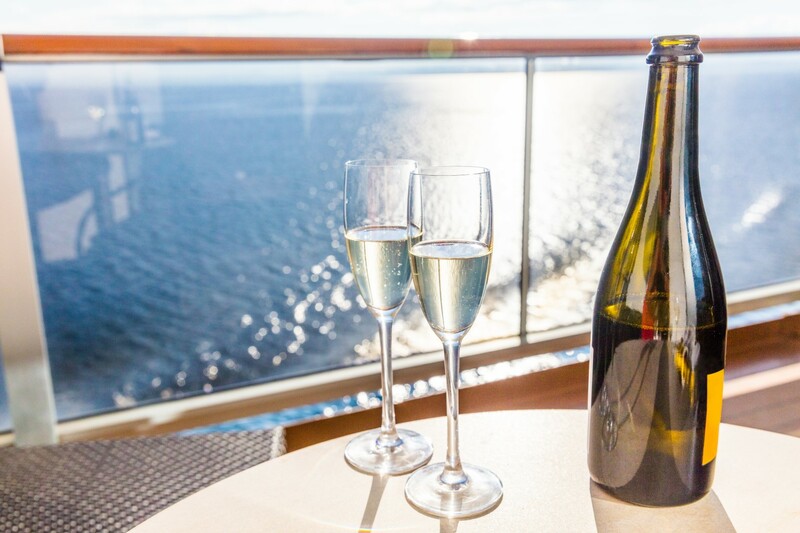 So, what would be the ideal refreshment during sailing? There is no straight answer to this question, but sipping room temperature water would do no harm for sure. Even better if water is non-sparkling and mineralized. 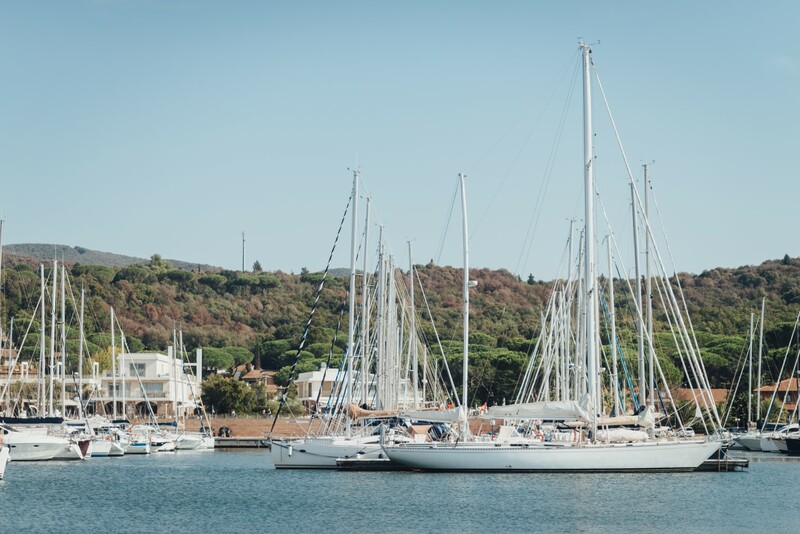 Fizzy beverages are not recommended onboard a sailing yacht. The combination of sugar and carbon dioxide makes them unacceptable and they are absolutely disgusting if not ice-cold. One old-school Dalmatian thirst-killer is a glass of water with a few drops of vinegar, while one of the doctors I talked to would allow a mild bevanda – wine (red or white) diluted with water, so adored among Croatians, especially old-school Dalmatians. My objection was about alcohol in wine, but my interlocutor responded that one bevanda with a half-half ratio between water and wine did not kill anyone. Another old-school advice for keeping the body hydrated during summer is to consume saltier food than ordinary. Allegedly, the salt from the food would keep the water in the cells, so the body stays hydrated. My personal choice to fight the thirst during sailing is squeezed lemon juice in non-sparkling water. 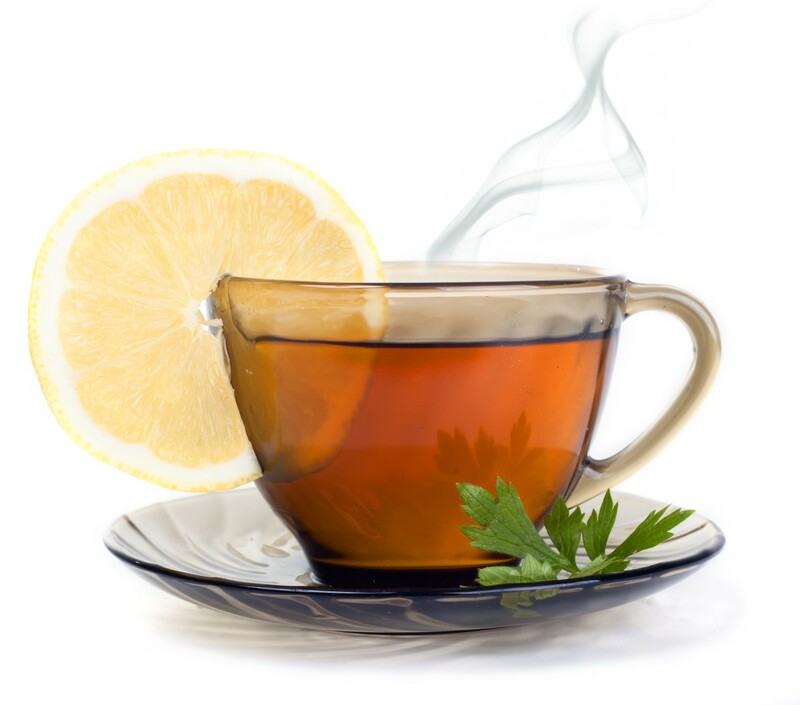 The sourness of this beverage reduces the feeling of the thirst, while vitamin C and some minerals from the lemon juice are doing well to the active body. 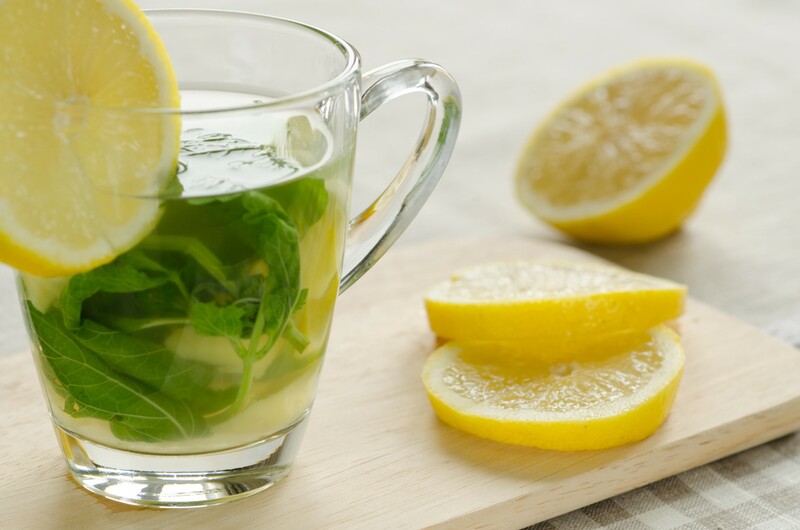 In addition, I have just read that lemon juice is alkalizing the body, which I do not completely understand, but I do understand it is very good for health. What about the breaks, you may ask. Well, my choice would be a cup of a hot herbal tea, which can be slightly sweetened, but not too much. Drinking hot tea on a hot day made sense when I first visited Morocco. ‘When in Rome act like Romans’, says the old proverb, so I did. I realized that drinking something hot on a hot day shocks the body less than having something cold. On the other hand, I started sweating which is, in fact, natural thermoregulation of the body, so I felt cooler afterwards. The Moroccan tea was slightly sweetened and garnished with fresh mint leaves that kept me energized and refreshed at the same time. Instead of hot tea, I would not refuse a delicious hot soup as well. In fact, a hot cup of tea or hot soup are always good onboard. Just to avoid misunderstandings, I am not the opponent to those who like to say ‘there is nothing better than a cool beer’. I would just leave it to a better occasion, such as enjoying it with a snack while waiting for dinner, sitting relaxed in a cockpit and enjoying a nice scenery. Quite romantic, isn’t it?